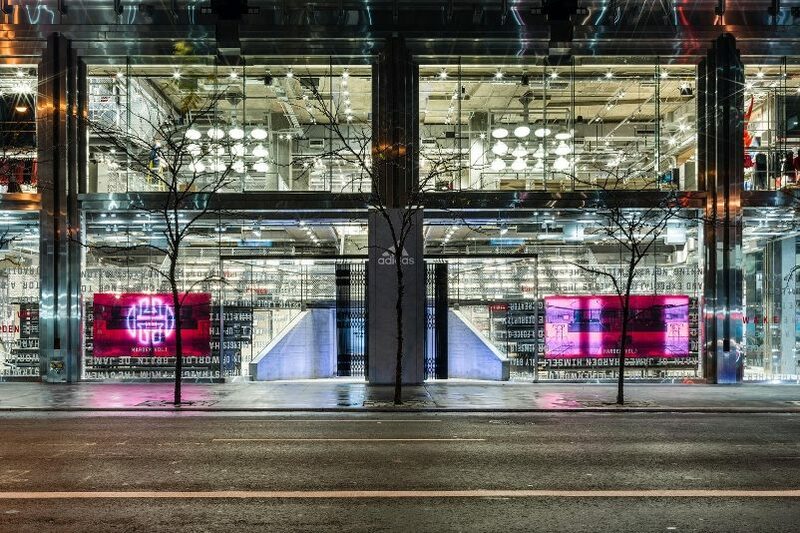 Custom oversized glass storefront + structural stainless steel framing. 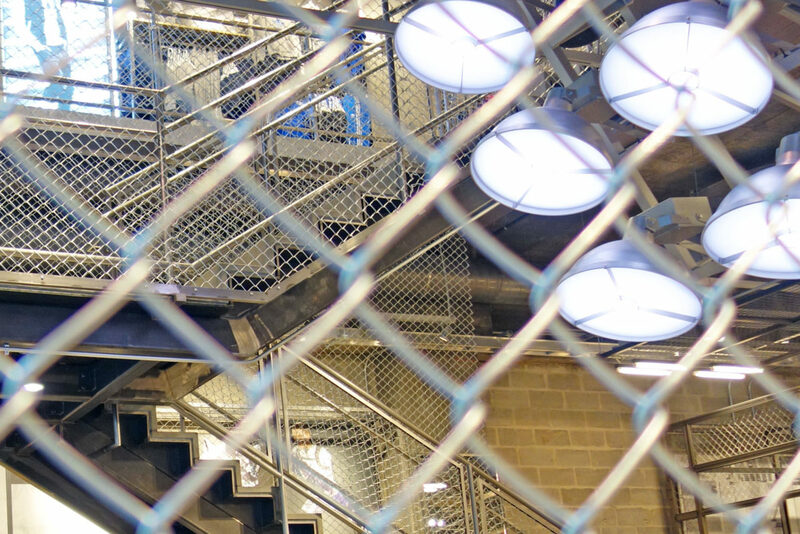 Oversized glass ceiling, automatic sliding entrance doors, + stainless steel walk-off mat. 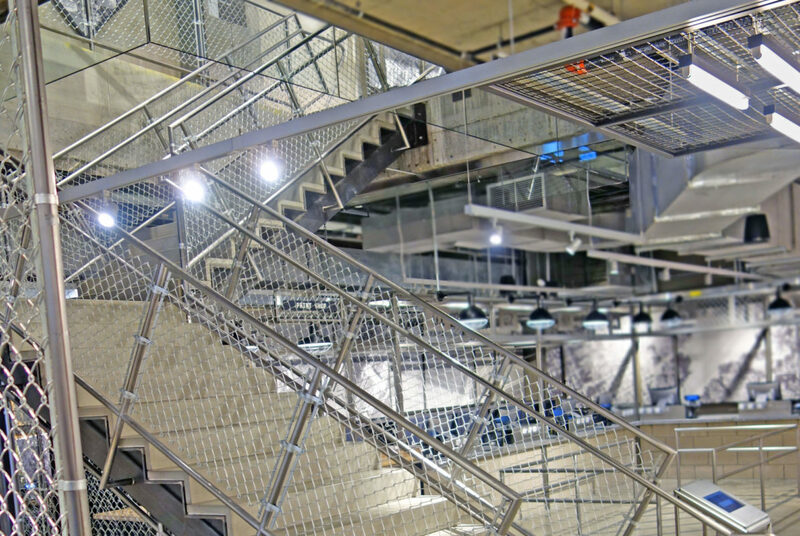 Architectural fence guard railing + partition walls. 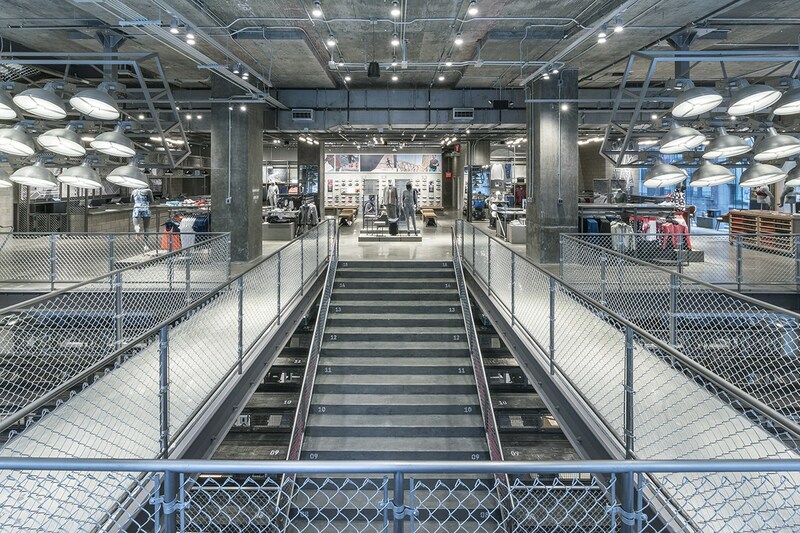 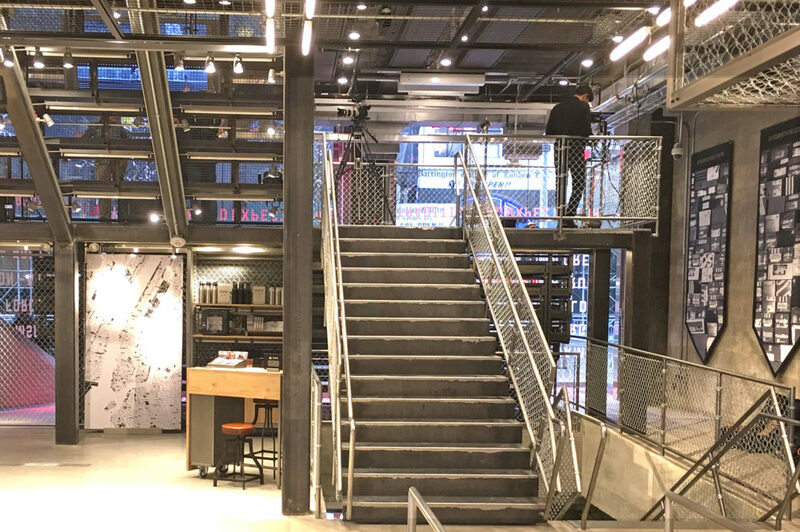 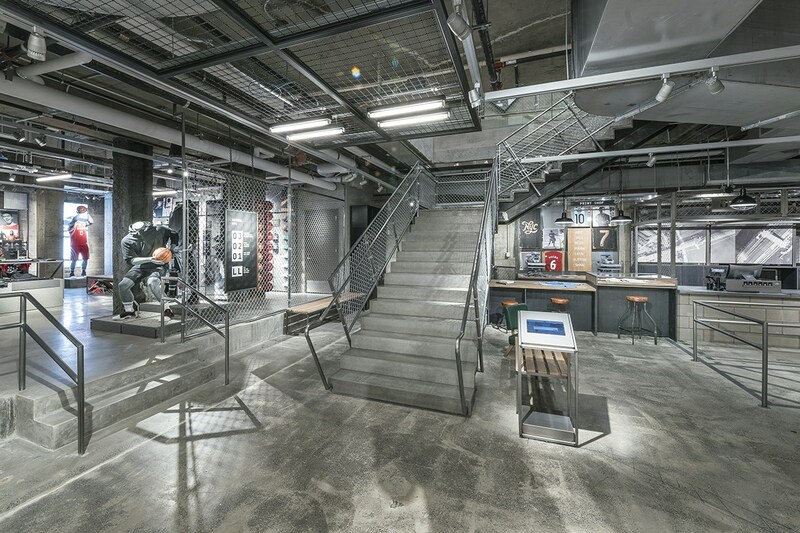 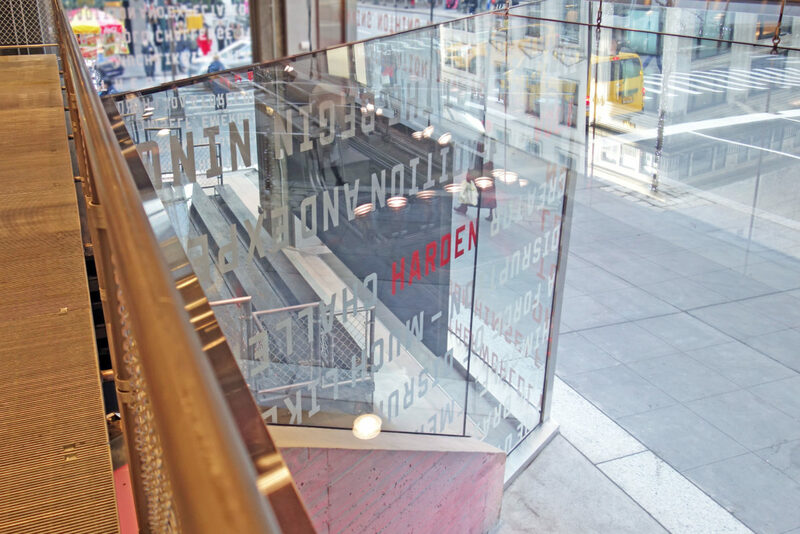 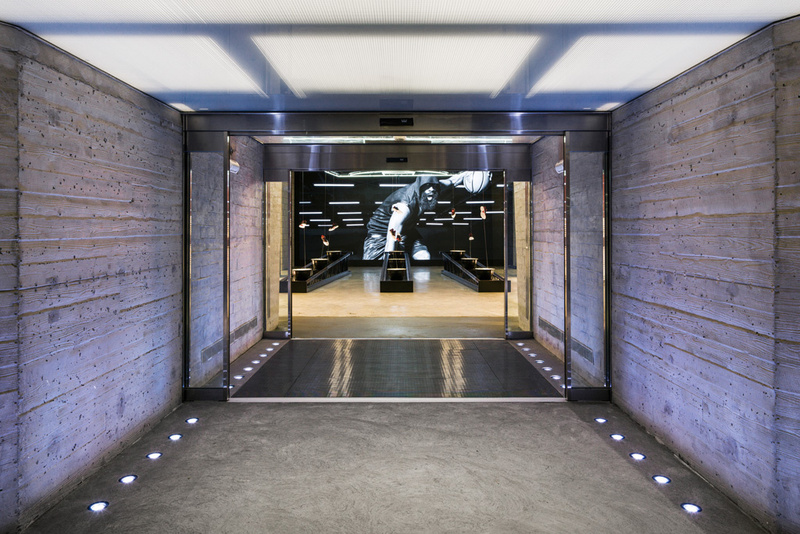 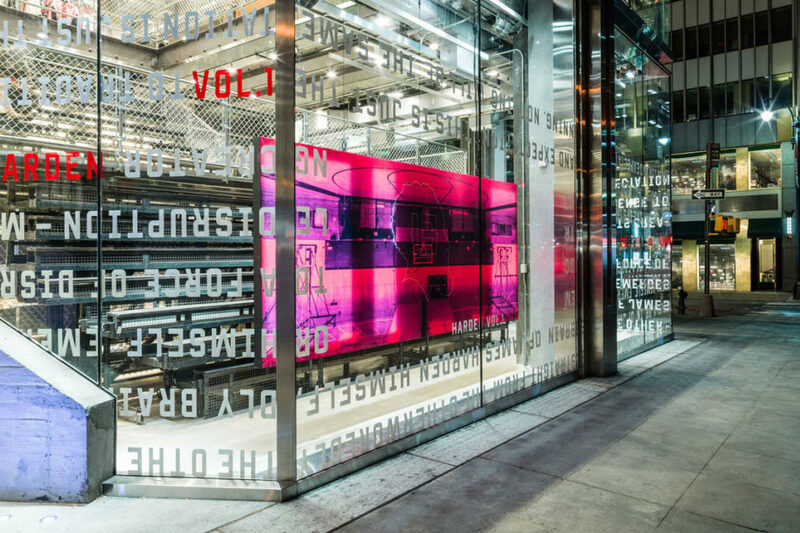 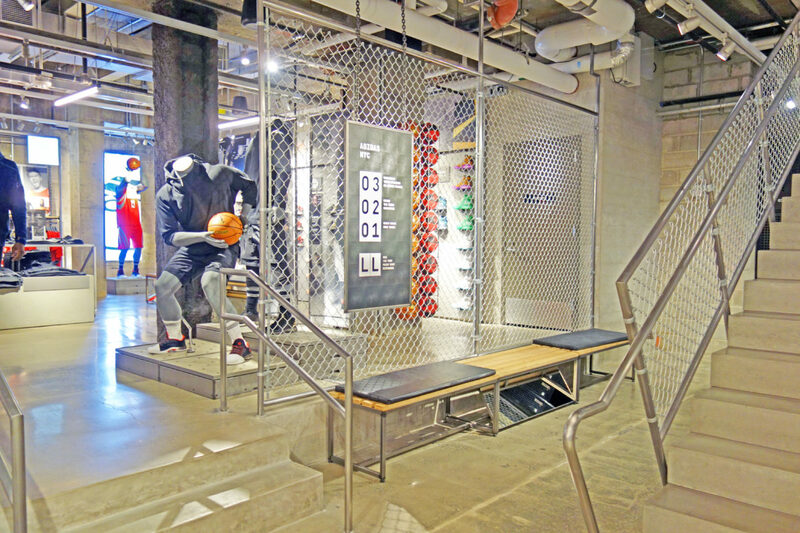 Mistral is proud to have worked with Adidas on their NYC Flagship location. 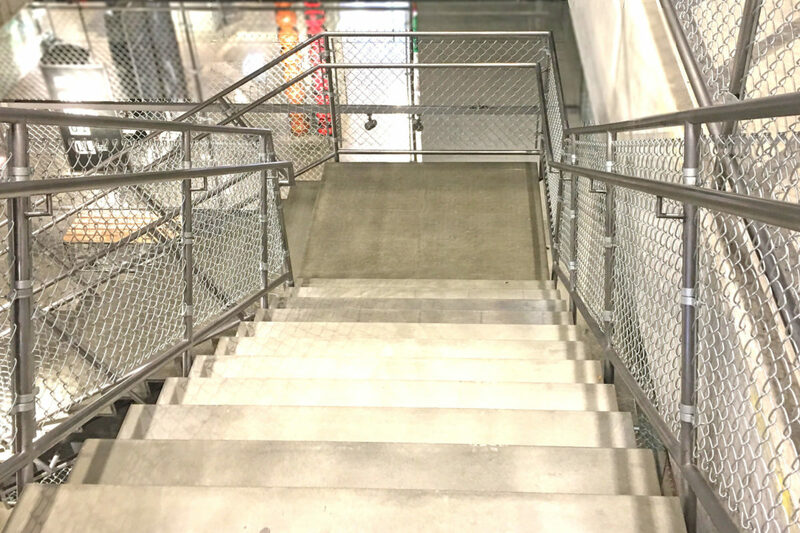 Industrial fencing used in a modern way makes for a winning combination.